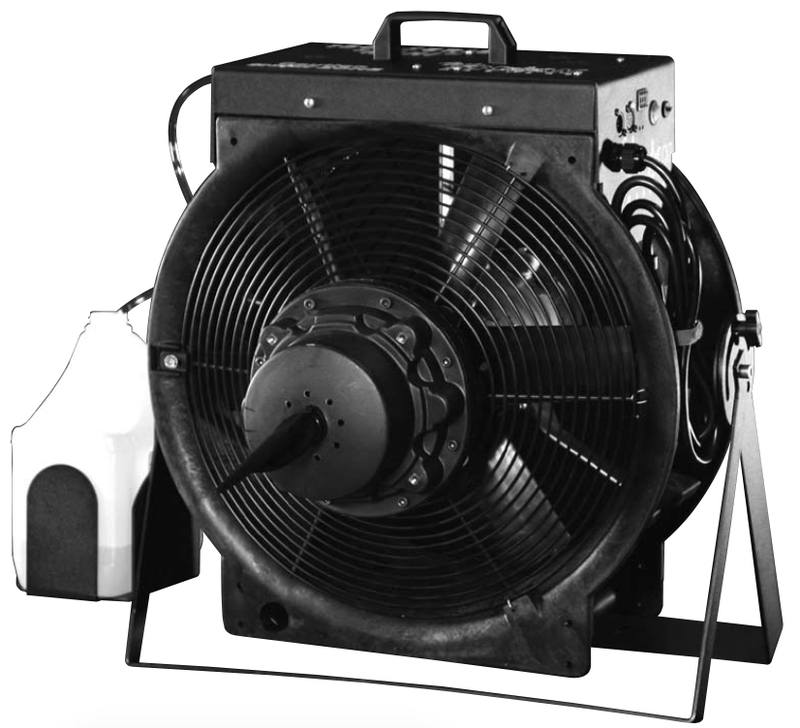 This is the little cousin to the T-1500 snow machine that can be used at ground level as well as hung from a truss. 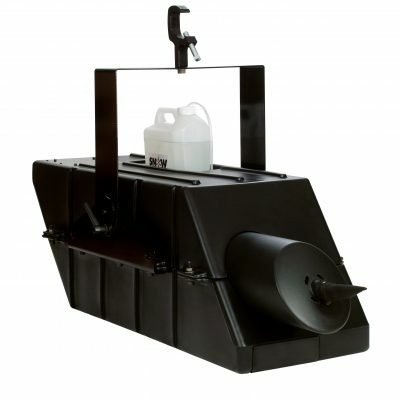 This product offers the driest snow in the market using FG-100 snow fluid. The T-1500 Mini is the little cousin to the T-1500 max snow machine that can be used at ground level as well as hung from a truss. 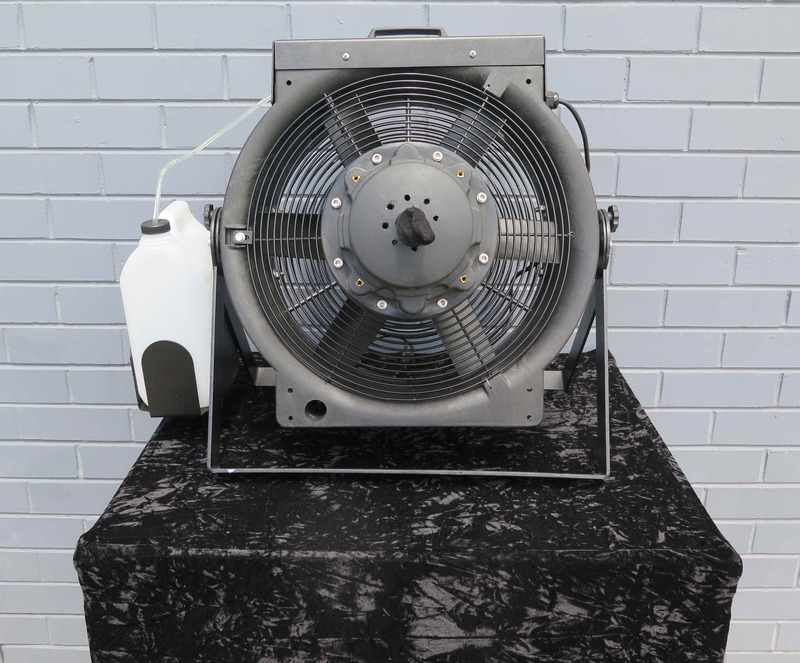 This product offers the driest snow in the market using FG-100 snow fluid. 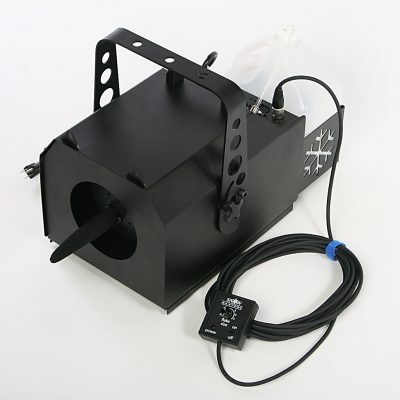 The T-1500 mini can also send snow straight up in the air up to 15 metres or at any chosen angle. 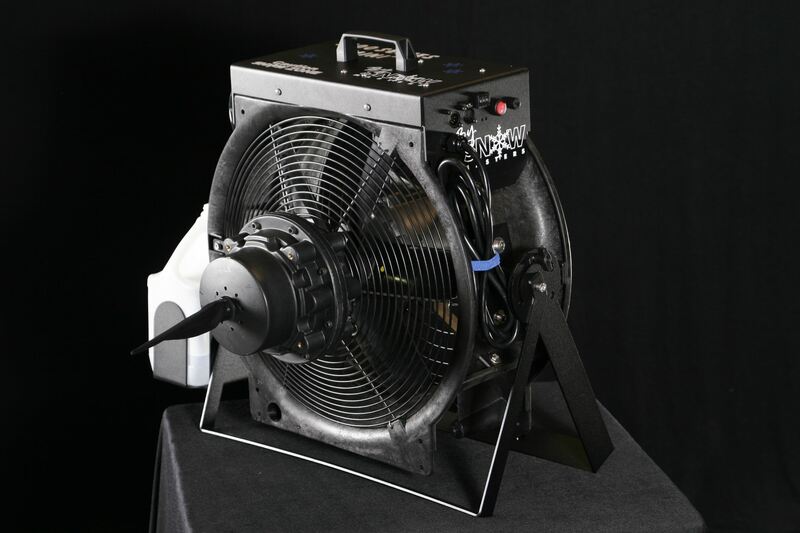 Designed for a smaller profile, this machine is our most flexible unit that incorporates a 16 inch fan in a swivel case, supported by a strong, bracketed frame. It produces both magical falling snow and can also produce a blizzard effect. 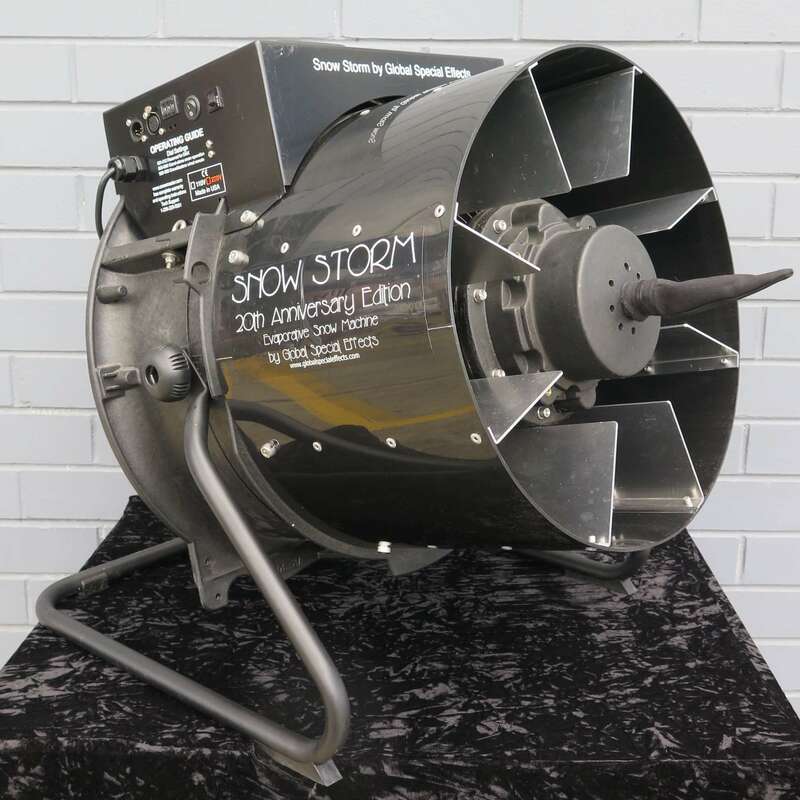 The T-1500 Mini is now the number one sold snow machine in the world. Rated at 74 db @ 3 metres. 100% made in USA, US patent 6,321,559.